This is the Estes Hi-Flier Rocket Kit. How high will a High-Flier go? The answer is OUTTA SIGHT!! No one knows for sure. Or maybe you do? 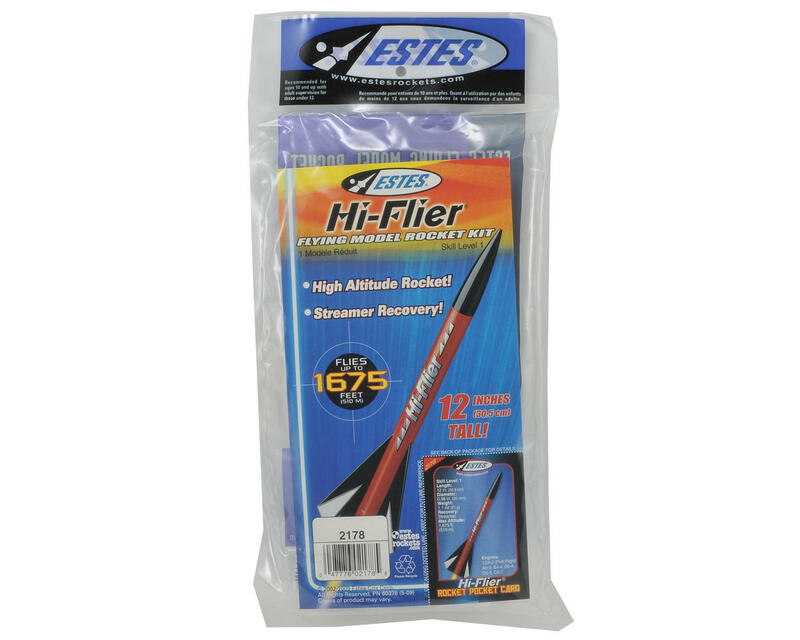 The Estes Hi-Flier is an ultra high performance model rocket with tons of attitude. Be sure and keep your eye on this stream-lined missile as it climbs to amazing heights over 1,600 feet (488 m), and recovers with a fluorescent orange streamer. Watch it climb and climb and climb and...well, you get the idea! The Hi-Flier is a Skill Level 1 kit that can easily be built in one afternoon. This sleek rocket stands a full 12 inches (25.4 cm) tall and features laser cut balsa fins, one piece body tube and a plastic nose cone for outstanding durability. This trim, high flying rocket launches on any of our powerful Estes standard engines. 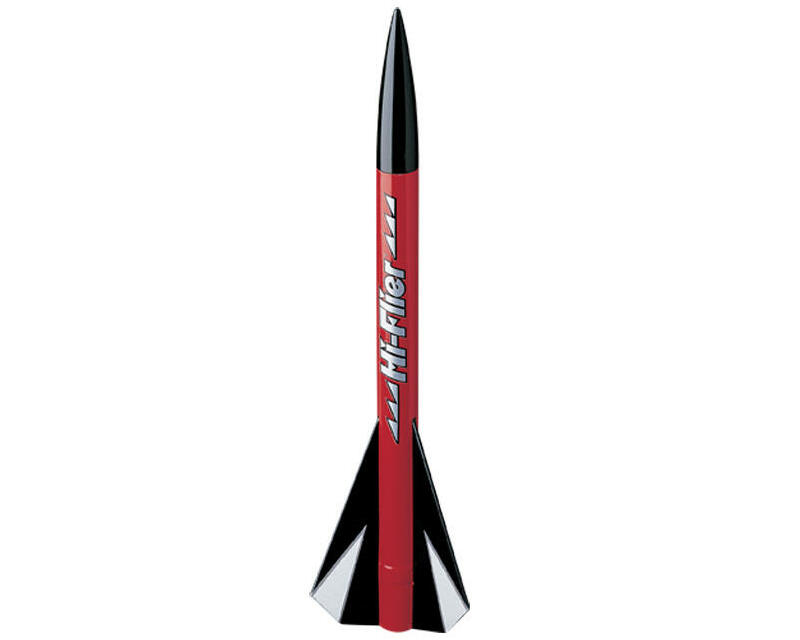 The Hi-Flier is one of the most extreme, super performance model rockets you can own. A must-have addition to all Estes high flyers' fleets!